The convenient and fast-food has been developing rapidly and has successfully penetrated in different field including larger conference, exhibition, business, Olympic games and military action. Sometime, food company require to supply hundreds of ready meals in the lunch time or supper, but only few hours notification in advance. Though we have already prepared hundreds frozen ready food, how we properly reheat them in one or two hours. 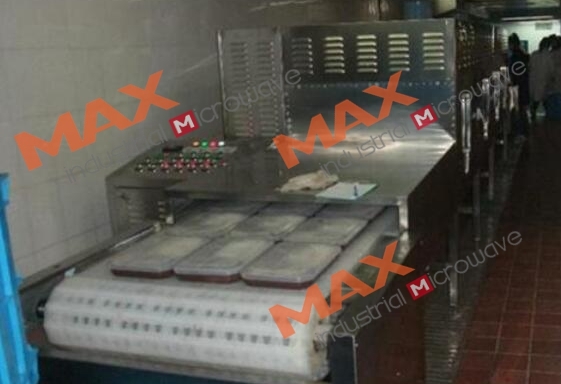 MAX Industrial Microwave could address the issues and quickly heat the large amount of bento meal. What’s the Advantages of Microwave Heating Machine? 3. The heating time only takes 6~7 minutes which significantly shorten the heating time. 5. The dimension of machine could be customized to meet with your kitchen or operating workshop footprint. Give us an email, we would like offer a professional plan for your bento meal.